21-year-old Leticia Sam has vowed her unwavering support for the New Patriotic Party’s presidential candidate, Nana Akufo-Addo in Ghana. 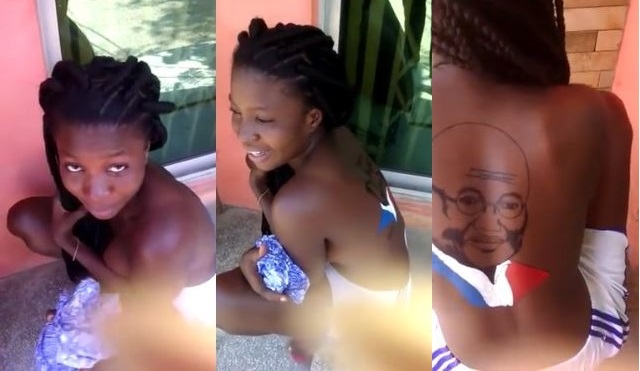 In an interview with Kasapafmonline.com, Leticia disclosed that she tattooed Nana Akufo-Addo’s image at her back because of her love for the New Patriotic Party’s Flagbearer. 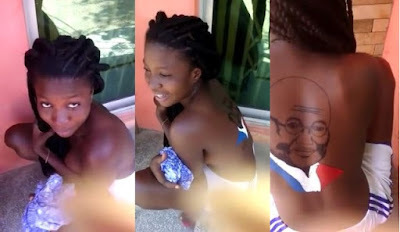 “I’m just crazy so I just wanted to do something crazy for Nana Akufo-Addo because I’m madly in LOVE with the NPP,” she said.